The essential purpose of ecoPayz is providing an eWallet payment service which ensures quick, easy and secure payments for businesses and customers globally. The brand name ecoPayz is owned by Psi Pay Ltd. The service stands out with a plethora of features and numerous account plans. Currently, ecoPayz is available in over 33 countries. To use ecoPayz, one must first register an account and it takes no more than a few minutes to complete the form. The process requires some personal information such as your name, country of residence, address and phone number. After clicking the activation link, sent to you via an email, the account is ready for use. The ecoAccounts fall into five categories – Classic, Silver, Gold, Platinum and VIP. Members with a Silver standing or higher, get better deals on withdrawal fees, FX rates, maximum account balance and higher transaction limits. The Classic account is very “bare-bones” so it is advisable to upgrade to a Silver account or higher as soon as possible. This is done by contacting Customer Support and supplying them with various proof of identification, i.e. photo ID, bank statements, utility bills etc. Verification may take some time because ecoPayz employees need to process the information. After that is done, you can top up your ecoAccount using different conventional means such as credit cards, wire transfers, international bank transfers. Funds transferred from other eWallet services or prepaid cards are also allowed. Silver account holders or those of higher rank, can apply for an ecoCard, which is a physical debit card issued by MasterCard. It can be used like a standard bank card to make purchases at any retailer and ATM, where MasterCard is supported. There is also the option to remain anonymous while uploading funds to your gaming account by using ecoVirtualcard. You can use your ecoAccount to get an ecoVirtualcard which can be utilized as a payment option right away. This is a single-use card which can help you upload funds to the interactive casino of your choice without exposing any sensitive information. It is available in EUR, GBP and USD. You have the opportunity to choose from plenty of currencies for your ecoAccount and you can even take advantage of adding a few currency options for your e-wallet. You can pick from ARS, AUD, BAM, BGN, BRL, CLP, CAD, COP, CHF, CNY, CRC, CZK, DKK, EUR, GBP, GEL, HKD, HUF, IDR, ILS, INR, ISK, JPY, MDL, MOP, MYR, MXN, NIO, NOK, NZD, PAB, PEN, PLN, RON, RSD, RUB, SEK, SGD, THB, TRY, VEF, UAH, USD, UYU, UZS and ZAR. Depositing to online sites is getting easier than ever before. Go to the cashier page, select ecoPayz as your preferred payment method and you will be redirected to their website. You will be asked to enter your user ID and password that you use for your ecoAccount. Then enter the amount you wish to deposit and confirm the transaction. Generally speaking, most virtual casinos impose no fees when you are using ecoPayz. The great advantage of this payment solution is that it will help you boost your gaming balance instantly and you will be able to wager real money at online casinos right after you make a deposit. The process of withdrawing takes the same steps as depositing. You go to the cashier page, select the ecoPayz as the transaction method and confirm the payment. The money should be cleared and in your ecoAccount within two business days. Having the chance to manage both your deposits and withdrawals via ecoPayz is definitely very convenient for those do not wish to search for alternatives when they cash out their winnings. If you are constantly on the move, this should not be an issue when you are an ecoPayz member. The service offers a dedicated mobile application that is available for both Android and iOS devices. This feature allows online casino patrons who are constantly outdoors to still be able to fund their gaming accounts in just a few taps on their smartphones or tablets. You can use the app to check your ecoAccount any time of the day, request an ecoVirtualcard, make a deposit to your e-wallet or pay for a purchase. Even if you are using your mobile device to manage your transactions via ecoPayz, you can be sure that your money and personal details are always properly protected with the best security technology. The ecoPayz mobile app is free to download and can be found at the App Store and Google Play Store. You can enter your email address and your password in order to log into your ecoAccount via a mobile device. If you have enabled the 2-step verification, you will be asked to enter the additional security code and your smartphone or tablet will be added to the list of your trusted devices. As many virtual casinos offer their own mobile versions, having the opportunity to use your mobile device for your payments is pretty convenient. Thanks to the ecoPayz app, you can easily manage your gaming balance and enjoy your favourite casino games even when you are on the move. Creating an ecoAccount is a free service, however, funding that account is not. Funding your Silver account via wire transfer will set you back between 0% – 7% depending on where you live and what currency you use. Using a credit card to do that costs between 1.69% – 2.90%, again depending on your country. Withdrawing funds back to your bank account will cost between €5.90 – €10.00 but VIP members can enjoy a lower fee between €2.90-€7.00.Transferring funds to another ecoPayz user will set them back 1.50% (at a minimum of € 0.50) if they are a Silver member, whereas, for Gold accounts and higher, the service is free. Currency conversion will impose a fee of 2.99% for Classic and Silver members, 1.49% for Gold and Platinum Account Holders and 1.25% for VIP members. When you are initiating a withdrawal of your funds from your e-wallet, you will also have to fit within certain limits. Regular Account Holders have a withdrawal limit of €1,000 for a single transaction. Silver level users will enjoy a single transaction maximum of €10,000, Gold Level members will be able to cash out a maximum of €12,000, while the limit for a single transaction for Platinum Level is €15,000. Last but not least, VIP members will be able to withdraw up to €20,000 at once. There is also a maximum daily withdrawal limit which is €1,000 for Classic Level members. The maximum amount that can be cashed out by a Silver Level member is €15,000. Gold Level can enjoy a daily maximum of €20,000, while Platinum Account Holders have a daily maximum of €25,000. VIP members can withdraw up to €30,000 in a single day. There is also a weekly limit for all tiers, except the Classic one. Silver Level members can withdraw up to €50,000 in a week. The weekly maximum amount that can be cashed out by Gold members is €60,000, while Platinum users have a weekly limit of €75,000 for their withdrawals. Lastly, VIP Level members enjoy a weekly limit of €100,000. Last but not least, Silver, Gold, Platinum and VIP members also have higher monthly limits for their withdrawals which are respectively €100,000, €125,000, €150,000 and €175,000. A Silver Account has a maximum Account balance of €15 000 and you can only deposit to it €3 000 daily, €5 000 weekly and €10 000 monthly via credit card. EcoCard fees are the same across the board for Silver to VIP members. When withdrawing cash 2% are charged with a minimum of €1.50, while cash services, such as Forex, Money orders, travelers checks etc., will cost you 4.00% with a minimum of €0.80. Replacing a card will set you back €12.50. EcoCard limits daily ATM transactions at a maximum of €750 for Silver members and €1500 for Gold and higher members. Cardholders can draw money from an ATM three times per day. All cards have a four-year life plan. 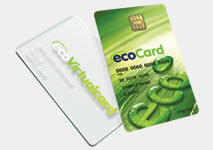 EcoVirtualCards cost €1.80 to issue and activate. When using the virtual card for financial institution services the price is 4.00% with a minimum charge of €0.80. Currency conversion sets you back an extra charge of 2.99%. These prices are the set for Silver, Gold, Platinum and VIP members. 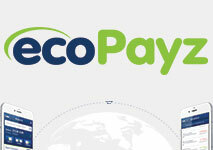 The service of ecoPayz uses a sophisticated banking system that makes transactions instant and the funds ready to use. They are a company authorized by the Financial Conduct Authority (FCA) in the United Kingdom, which means that they follow the strictest guidelines when it comes to security. Having that in mind, it is reasonable to say that ecoPayz offers secure transactions and users need not worry about their data falling into the wrong hands. Anonymity is guaranteed when using the service because the other party never receives access to your information. Using the latest SSL encryption technology is yet another proof of their strict security policy. Using ecoPayz for gambling purposes is a sound choice. When depositing via ecoAccount the funds are made immediately available, unlike other conventional methods such as a bank transfer. Another great advantage of the service is that opening an ecoAccount is free and accessible to anyone. This means that even if you do not have an account at ecoPayz, you will be able to open one in an instant. This way you will be able to upload funds to your casino account in no time. What is more, it will cost you nothing to open your ecoAccount. You can utilize different options when it comes to topping up your ecoAccount. This is very convenient for members from various countries around the world. Commonly used methods like credit/debit cards, e-wallets provided by other companies, prepaid cards and instant banking services suitable for customers from different countries around the world are acceptable deposit solutions. The service of ecoPayz has also become very popular among virtual gamblers which is the reason why numerous online casinos have started accepting payments via e-wallets by ecoPayz. This guarantees that you will be able to find at least a few trustworthy casino sites that will allow you to manage your funds via your ecoAccount. There is also a possibility to set several currencies for your ecoAccount which is very convenient and is completely free. Last but not least, if you are a member of ecoPayz, you can enjoy some monthly promotions and various deals that are available for ecoAccount Holders. This way you can enjoy different perks while using your e-wallet for your online casino transactions. The disadvantages of utilizing ecoPayz are definitely fewer compared to the positive aspects of the payment method. Most of the services ecoPayz offers must be paid for, but some users get worse deals than others simply because of their location. Other companies offer the same service without the added cost. EcoPayz is only useful as a payment method for online gambling and Forex trading. There is hardly any major sites outside this sphere that accept ecoPayz. Other payment solutions can also be used for online shopping and online gambling, without having to limit yourself to one or the other. One of the lacking points of ecoPayz is the fact that some players are not allowed to use ecoPayz as a deposit or withdrawal option when they play online. The restrictions include US interactive players who will not be able to use this e-wallet for their virtual casino transactions. As you may have noticed, higher-level members enjoy better perks and have better transaction limits. Upgrading your membership, however, is not that easy as you will need to verify your identity by providing a photo and a copy of ID document that confirms your physical address. ecoPayz is accepted as a payment method at most of the biggest and reputable online casinos and can be used to withdraw your winnings hassle-free. EcoPayz claims that protecting their users’ data is a top priority and to have applied all available security measures to do so. All data that passes through their system is automatically encrypted using Security Sockets Layer protocol (SSL). Furthermore the site is certified by Thwarte Certification Authority, who are responsible for 40% of the global SSL market. Any servers that hold data are separated from any other hardware and stored in a secure and restricted location. Information is stored with firewalls in place and no connection to the Internet, accessible only by certain workstations. When you are using your ecoPayz e-wallet to boost your gaming balance at an online casino, you can be sure that your money is properly protected and your personal information will not be disclosed to anyone. What is more, ecoPayz helps you to add an additional layer of security which protects you from spyware, hacker attacks or viruses. Whether you are using ecoPayz on your mobile device or personal computer, you can always trust the company as it strives to meet the strict security requirements of the Payment Card Industry and Data Security Standards. This ensures that ecoAccount Holders can make easy payments to and from online casinos, without having to worry about their money. 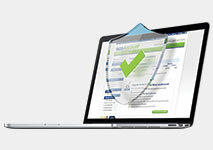 Members of ecoPayz will also have the opportunity to enable the 2-step verification feature. This will add an extra layer of security to your account and you will be asked to enter your 2-step verification code whenever you try to log into your ecoAccount. Thanks to this option, you will be the only person who will be able to access your ecoPayz wallets and see your balance and transactions. Click on the Security Policy tab on ecoPayz’s website, and you will be able to read advice for users on how to protect themselves and their data on the Internet. It advises users not to share their personal information with anyone, not to respond to shady emails and to always double check any link that looks suspicious. The service of ecoPayz is stable and accessible. It offers secure and quick transactions while guaranteeing the user’s anonymity. On paper, it sounds like the perfect payment method for gamblers. In practice, however, some people might be put off by the fees and the inability to use the account for something else other than gambling and Forex. This being said, if you are looking for a fast and secure way to make deposits and withdrawals at virtual casinos, you can always resort to ecoPayz. This will allow you to boost your gaming balance immediately, transfer money without exposing any personal information and checking your transactions any time of the day. Thanks to the mobile application of ecoPayz, you will be able to manage your money even when you are on the move. If you compare the advantages and disadvantages of this payment method, you will see that ecoPayz is rather convenient, fast and secure option when it comes to depositing money and withdrawing winnings at online casinos.